The Pronto M91 with SureStep appeals to consumers with an active lifestyle. Innovative SureStep technology makes negotiating thresholds and transitions up to three inches high effortless while maintaining excellent maneuverability and stability. 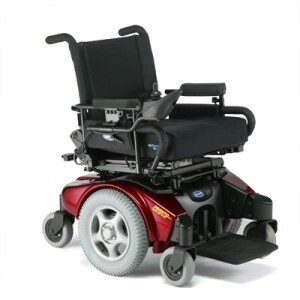 Along with SureStep technology and a maximum speed of 6.5 mph, the Pronto M91 is preferred by consumers on-the-go.